As your home ages, you may find that plumbing problems begin to arise – pipes can become brittle over time and may leak or a tree’s roots could damage your underground pipes by growing around them. Although, your home can be a new build and still experience plumbing problems. Leaking or burst pipes are one of the more obvious problems, but there are many more potential plumbing problems that homeowners are commonly affected by. With the majority of plumbing problems, you will need to call in a profession plumber to get the problem fixed. Below are some of the most common problems that you could experience with your plumbing. – Leaking or broken pipes are a common problem all year round, but during the winter months more people may experience them due to the change in temperature. If you think that you have a leaky or burst pipe, it’s important to get it fixed immediately. The longer you leave it, the more water damage your home will suffer from – this also means more money needs to be spent on water damage repair. It is not always obvious that you have a leaky pipe until there is evidence so keep an eye out for any mysterious wet patches on your ceilings or the ground. – Dripping faucets are very common. Many homeowners don’t even notice that they have a drippy faucet, or if they do, they just ignore it and don’t think much of it. Although it may seem like an insignificant problem, it’s still something that you should get sorted out. Ignoring a dripping faucet not only wastes water, but it also wastes your money. It may only be a drip, but those drips do add up. Getting a plumber out to fix the drippy faucet won’t cost you much at all. If you choose to ignore it, you’ll probably end up paying more for the drips on your water bill than you would on having the problem fixed. – If you have a drain that is clogged, don’t be tempted to sort out the problem yourself with a plunger or a store bought drain cleaner. Drain cleaners that you buy over the counter can actually damage your pipes by softening the plastic or corroding them. You should always call out a plumber as they will have experience in dealing with clogged drains – they won’t use any harsh chemicals, and they will try and not be invasive. – When a home has a running toilet, many homeowners aren’t aware of how much water it is wasting. Up to 200 gallons of water can be lost every day if it is left unfixed. If you have a running toilet, call out a plumber to fix the problem as soon as possible. Leaving the issue will result in a lot of wasted money. – During the spring and summer, it’s very common for homeowners to get a leaky hose bib. Hose bibs can become damaged or cracked during the cold winter, so when owners go to use them in the spring or summer, they may leak water. If you do not already have one, buy a frost-proof hose bib. This will prevent leaks in the future, and it won’t need to be replaced as much. 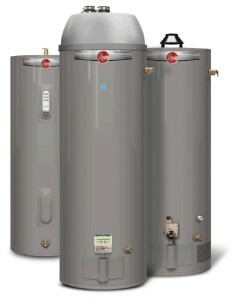 – With the correct maintenance, water heaters can last homeowners around 8 – 12 years. 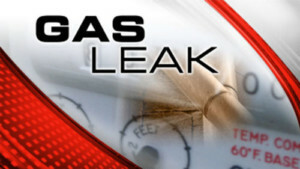 Plumbers are often called out because of water heaters not working and either needing a repair or replacement. – Low water pressure is quite common in older homes as opposed to newer ones although this doesn’t mean that newer homes can’t experience low water pressure. If you have low water pressure, you may need to clean your showerhead or your faucets aerator screens. You may need to change your showerhead, as you could have a leak in your home somewhere or inside of your pipes there could be corrosion. If you experience any of these problems don’t hesitate to call Lightfoot Mechanical.